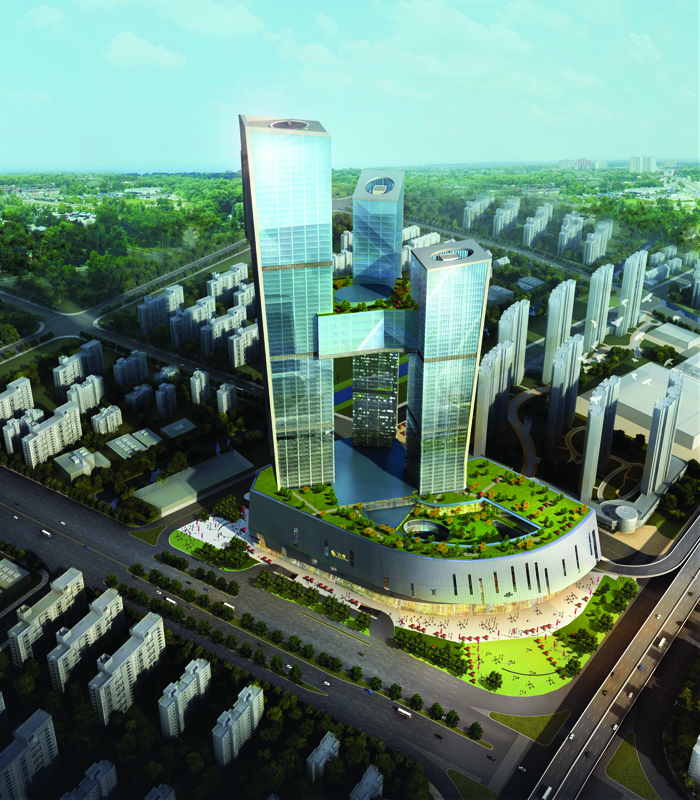 Developer	 Nanjing Golden Eagle International Group Co., Ltd.
Golden Eagle Tiandi Tower A is the tallest of three towers in a complex called Golden Eagle Square Plaza. 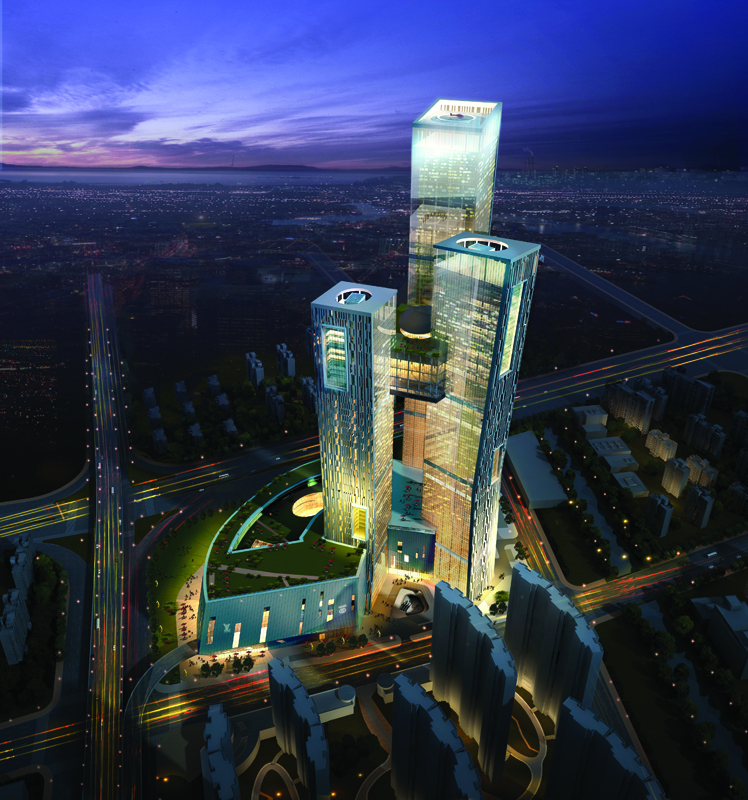 The tower is sited north of the Huxi central business district in the blossoming city of Nanjing. 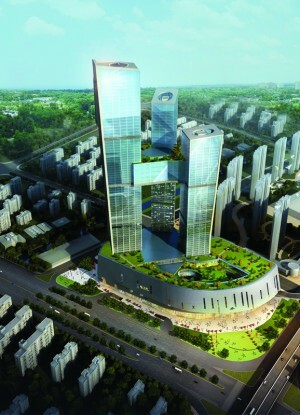 The development is mixed-use in nature, featuring a five-star hotel, office spaces, and apartments. A massive white-clad podium structure forms the base, with the three towers rising from each corner. The podium’s roof features a multi-level landscaped park replete with outdoor seating and a pool. It will also contain retail space, restaurants, and entertainment options for both office workers and residents in the complex. The towers flare outward as they rise, appearing to lean gently away from the center of the complex. Golden Eagle Tiandi Tower A is designed to absorb plentiful natural light, while also mitigating solar heat gain with a pixilated screen of sun-blocking elements on a single elevation. The remaining three elevations utilize a large unitized curtain wall solution, a system that also punctuates the sun-blocking façade in small rectangular sections, offering a visual shift for the observer and permitting unimpeded sunlight to shine in certain areas of the building. The most prominent feature in the complex is a traversable multi-story linkage between the three towers at height. The linkage has a domed roof and offers communal space in the form of a rooftop garden lounge. With this feature, occupants will also be able to utilize the services of each tower without being required to navigate the podium below. Providing a connection of this nature at height is an impressive feat in a seismic zone, and required a great deal of research on the structures’ performance under wind loads and earthquakes.